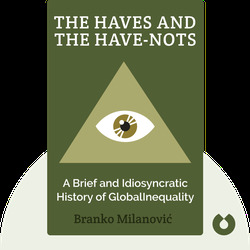 The Haves and the Have-Nots (2010) shows how inequality throughout history has made its mark on society at large. These blinks explore three types of inequality: inequality among individuals in a single country; inequality among countries; and global inequality, or inequality among all the world’s citizens. Branko Milanović is a specialist on inequality and poverty. He is the visiting presidential professor at the Graduate Center of the City University of New York and an affiliated senior scholar at the LIS Cross-National Data Center. He was formerly a lead economist with the World Bank's research department and visiting professor at University of Maryland and at Johns Hopkins University. 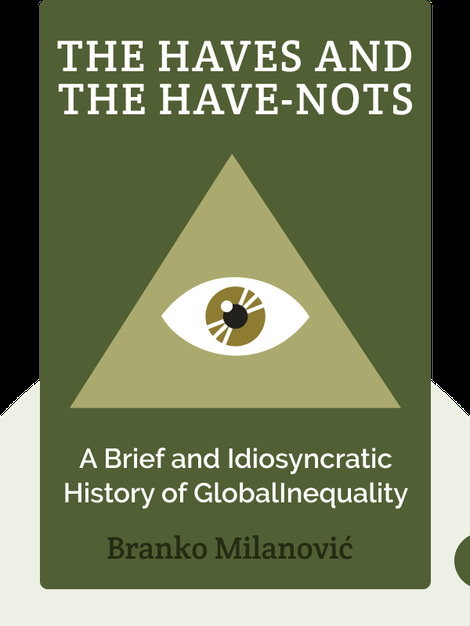 Milanović is the author of Global Inequality: A New Approach for the Age of Globalization.